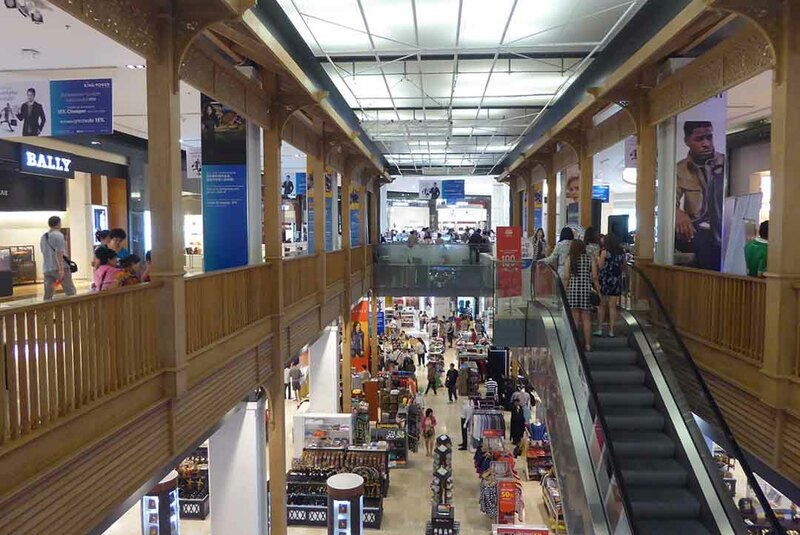 King Power is Thailand’s leading duty-free retailer with outlets at all Thai International airports. The Downtown Complex is just like shopping at the airport but without all the walking as everything is located in an easily navigable 3 story mall. It is also conveniently located being just a 5-minute walk from BTS Victory Monument station. 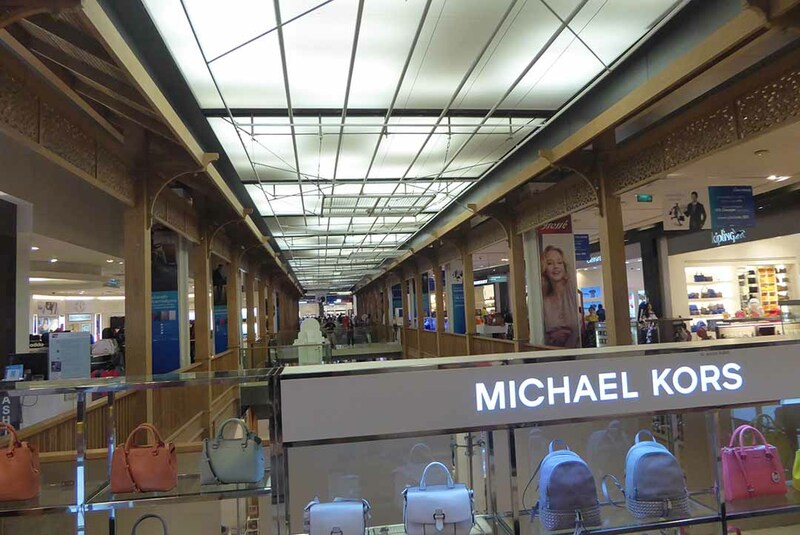 Just about every International brand names from luxury to high street can be found here. Categories include alcohol, local packaged food, clothing, Thai handicrafts, Jewellery, gifts, and souvenirs. Also luggage, toys, confectionery, cosmetics, perfume, watches, sports, and electronics. There are also a couple of restaurants serving International buffets and a bar. 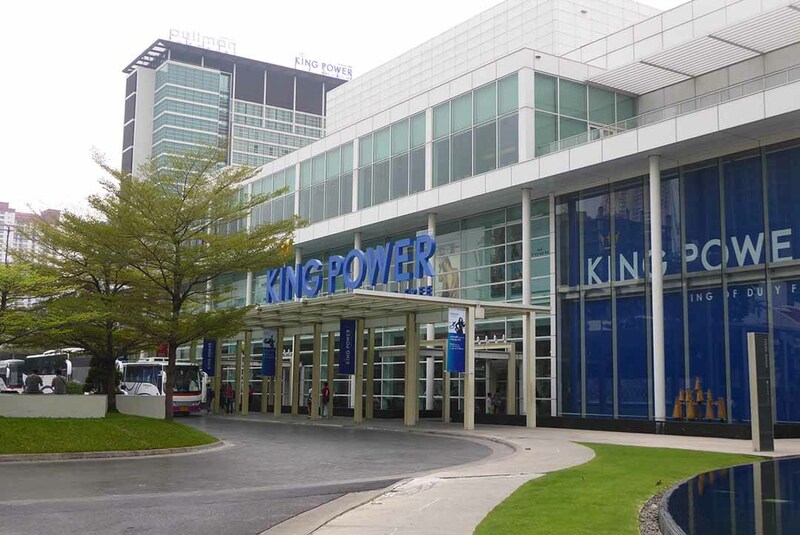 Next door is the King Power Pullman Hotel which houses more dining options and bars. 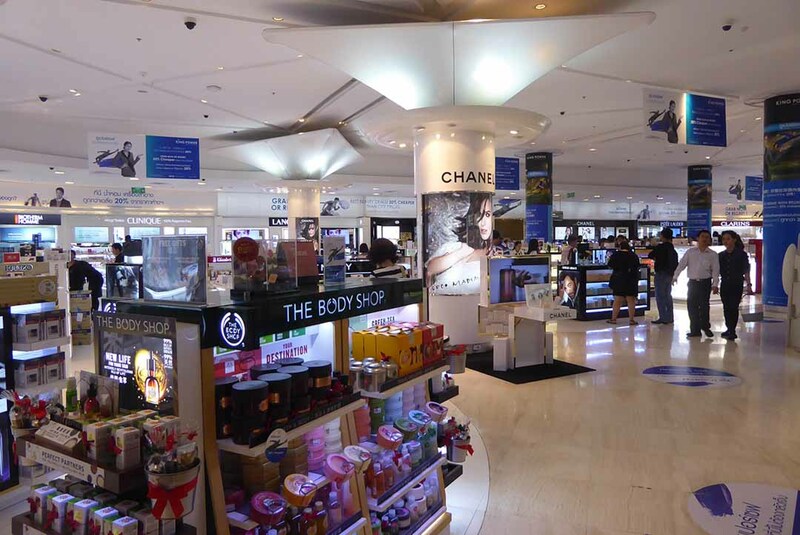 Note that duty-free goods purchased must be picked up at your departure airport near your departure gate. The complex is on Soi Rangnam which has many cafes, cheap street food, and some nice restaurants. Location: King Power Complex, Rangnam Road, Phayathai, Bangkok. BTS: Victory Monument Station (exit 2), turn left into Soi Rangnam, then 5-minute walk or take the shuttle cart from the side entrance of Century Mall.